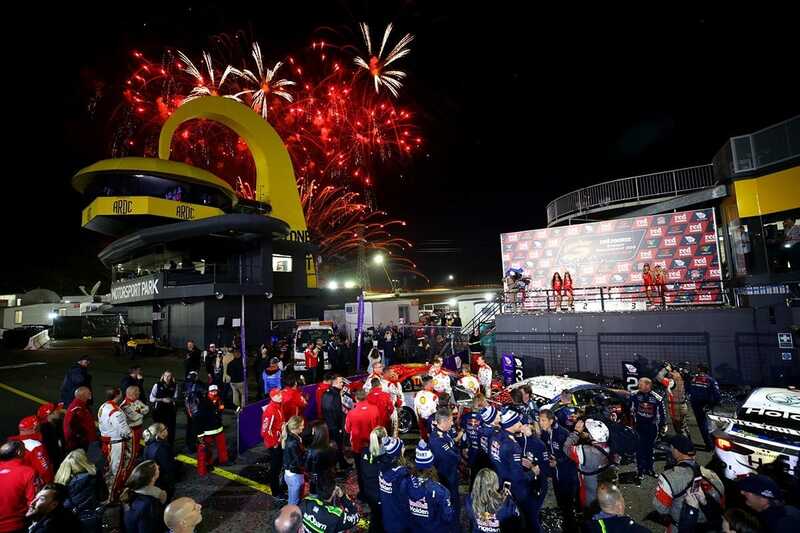 Howard & Sons Pyrotechnics have won the 1st Place Gold Trophy at one of the most prestigious fireworks competitions in the world, the Da Nang International Fireworks Competition in Vietnam. 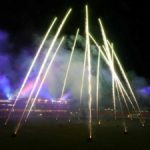 The Howard & Sons Pyrotechnics team, representing Australia, took on the worlds best from USA, Poland, Vietnam , South Africa and won in spectacular style. 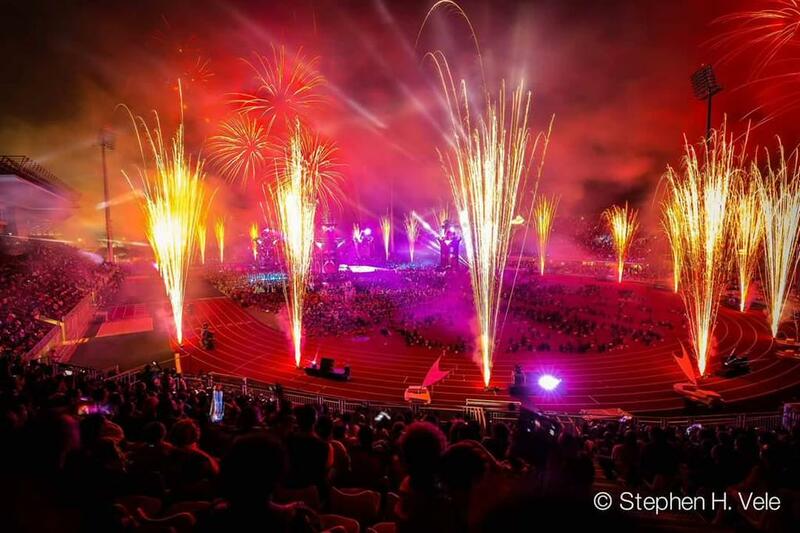 The 20minute pyromusical titled “Symphony of Colour” was the first international competition for the winning designer Rusty Johnson, Howard’s Victoria & Tasmania State Manger, who was rushed to hospital in pain with kidney stones, just days before his victorious trip to Vietnam. “Wow what a fantastic result, what else can I say. 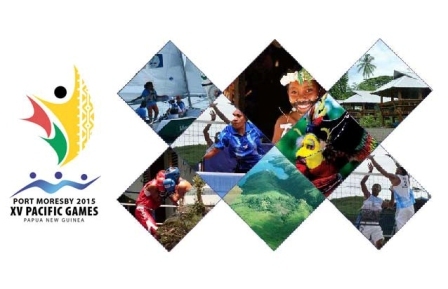 I am over the moon and have reached what I thought was a dream goal as a display designer I was very lucky just to be there, going from hospital bed to winner in a week.” said Rusty Johnson. 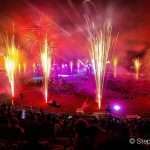 “It was a fantastic opportunity to see some of the World’s best fireworks display designers and producers light up the night sky in a Symphony of Colour. 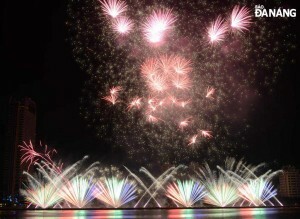 Da Nang Vietnam is a fantastic place, a perfect location for a beautiful international fireworks competition.” said Rusty Johnson as he celebrated in Vietnam. An impressive array of vivid pyrotechnic colours, effects and an impressive 50m round SFX ring that was suspended above the display site, shooting circular firing patterns of comets, mines and jets all perfectly synchronised to a entertaining, high energy music soundtrack, stole the show. The Howard & Sons onsite team included two female pyrotechnicians, Rachel Nicoll and Cie Komene the only ‘lady pyros’ working in any of the teams at this years competition. 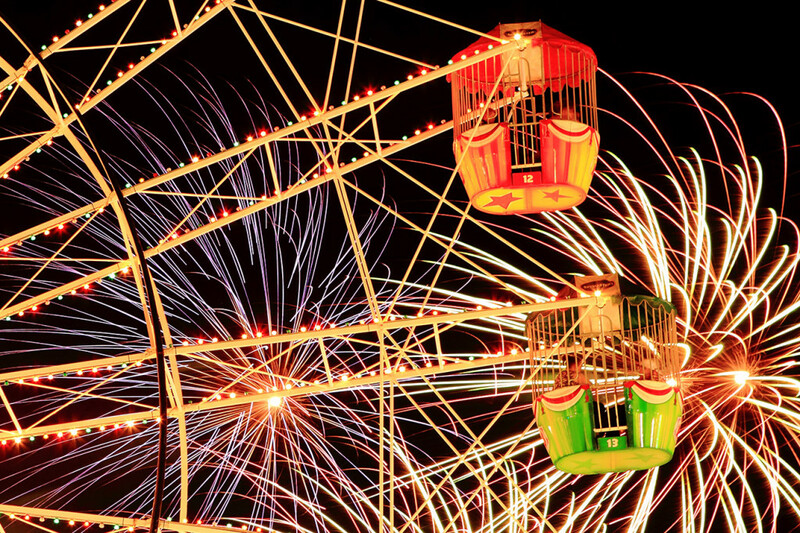 “I am so proud of our team and all the time, effort and hard work that went into delivering our fireworks display. Even though there was 6 of us representing Australia in Vietnam, we had a huge support team back home of crew, family and friends. Without their support, we would never have come away with the win.” said Cie Komene Howard’s Sydney based female pyrotechnician. 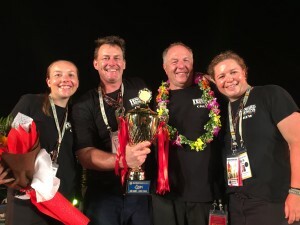 The win at the 2015 Da Nang International Fireworks Competition adds another impressive gold cup to the growing Howard & Sons Pyrotechnics trophy cabinet after recent success at the Montreal International Fireworks Competition and the Malaysian International Fireworks Competition. 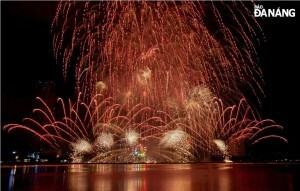 Andrew Howard, Director of Howard & Sons Pyrotechnics sums up the successful display.